People have been throwing around a lot of words about new ways to mark up data. I’ve seen schema, rich-snippets, micro-data, micro-formatting, micro-tags, rich-markup and many other terms being used interchangeably. Here’s a list of definitions to help you get it straight. The smallest unit of displayed data. Example: If you have an address: 1212 This Pl, That Town, ST 55555-5555 The smallest pieces of that data would be the streetAddress, addressLocality (city), addressRegion (state) and the postalCode (Zip). One or all of these would be referred to as microdata. The code you need to add to a data set to identify the individual pieces of data. Example: So if you put each of those parts in the address above into their own <span> tags you could then add attributes like itemprop="streetAddress" and itemprop="postalCode" to the span tags to format the individual microdata (ie.microformatting). The combination of microdata and microformatting in practical use. Example: If my Yellow Pages spider went to the 1212 This Pl. website and grabbed the address, identified the individual microdata using the microformatting and then displayed it properly on my Yellow Pages site, the data displayed would be a rich snippet. The set of rules governing microformatting. 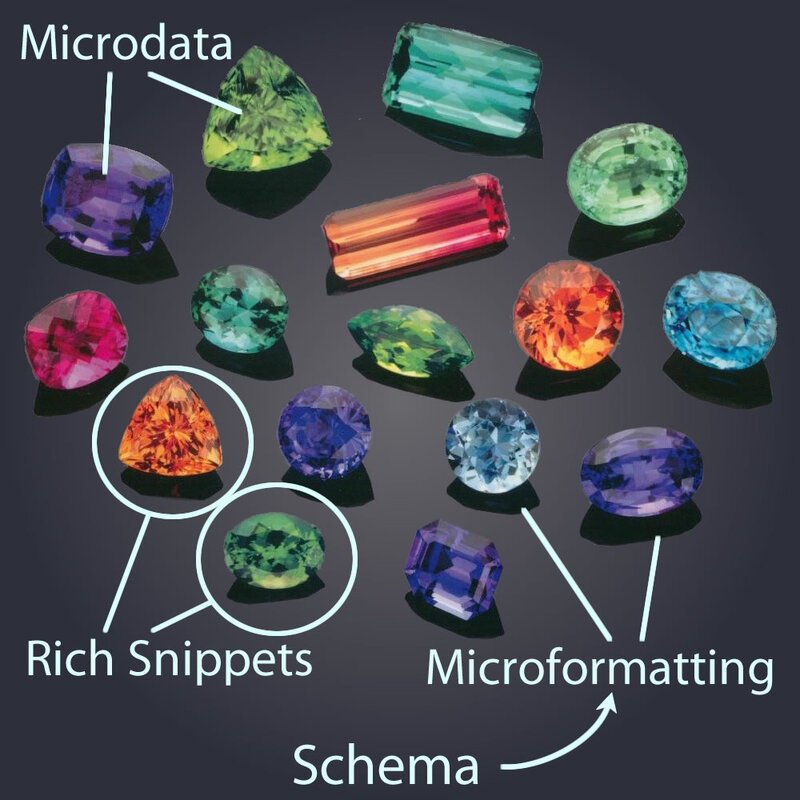 Example: Schema.org and RDFa are systems that define how to microformat microdata. Data about data. So in <span itemprop="postalCode">55555</span> the postalCode bit of information is the metadata. So now you know. To check if your code is working plug it into the Google Rich Snippets Testing Tool and it should pull out the data and show it to you. In the near future I will be reviewing various standards on schema.org and putting further explanation on this blog. 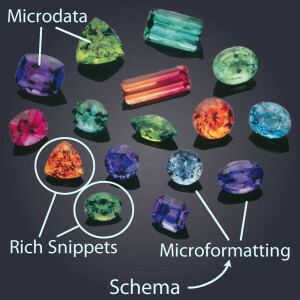 Identify what microdata is important to your site. If you have a restaurant it might be your address & menu. For a ecommerce site it might be your products & prices. Once you have your list together, let me know. I would like to make a post in how to best mark it up. Feel free to post your information in the comments, I look forward to hearing from you. Can you look at my markup on my page not sure if the schema is right they were showing in the serps for a month and went away. the site is riptidecloud.com. they work in the testing tool. Holy cow! Someone posted a comment and I didn’t respond. I’m a louse. I looked at your site and the microformatting is well formed. The software application object has a very long description. The name element should be changed to the actual name. The rating element is not visible and it doesn’t link to the actual ratings. This could eventually be ignored by Google or counted against the site. On a side note you have some canonical issues. Do a search on canonical content.